When injured accident victims think about damages, they often think of those valuations in very linear terms; as if they’re on a straight line. These are very simple mathematical equations. The problem is these equations are too simple and don’t take in to consideration the whole story. What accident victims don’t know is that often insurer are entitled to credits or set offs when calculating damages to make sure that the Plaintiff is not over paid for their injuries. There are many examples when an insurance company is entitled to a set off. What is a set off? Essentially, it’s a credit in favour of the insurance company. Take the example of a person who was involved in a catastrophic car accident. Prior to the car accident, they were earning $40,000/year. They will never be able to work again on account of a traumatic brain injury. They are receiving an income replacement benefit in the amount of $400/week from their accident benefit insurer. The total amount of income replacement benefits equal $20,800/year. If the tort insurer pays 100% of the $40,000 income loss; then the accident victim ends up with $60,800/year ($40,000 + $20,800). That would mean that the accident victim is in a better income position post accident than pre-accident. While this is great to see; unfortunately, this is NOT how the law or the Insurance Act works. In this example, the tort insurer is entitled to a credit; commonly known as a “set off” to make sure this type of over payment doesn’t happen. That set off would be for $20,800 for the income replacement benefits already paid out. Therefore, in order to make the accident victim whole, the tort insurer will pay the difference, that being $40,000-$20,800 = $19,200. There are many more examples of set offs. But one such example is hot off the press from the Financial Services Commission of Ontario or FSCO, as it’s known to people who work in the auto insurance business. FSCO is a regulated board of the Ontario government who deals exclusively with accident benefit disputes between accident victims and insurance companies. Mediators and Arbitrators at FSCO hear these disputes daily, and are familiar with the complexities of the Insurance Act, the Statutory Accident Benefits Schedule or SABS; along with all of the lawyers and adjusters who use the system. While it’s not perfect, it’s the place where the auto insurance and accident benefit claims are fought. So: in the future if you bring forth a car accident benefit claim, it could be heard right before/after a bad day care or a bad payday loan operator’s claim. Just saying…. Back to that hot off the press decision dealing with set offs and FSCO. The case is Niforos and Allstate FSCO A13-007892. In this case, Ms. Niforos was involved in car accident on March 1, 2010. She applied for the Non Earner Benefit from her insurer, Allstate. Allstate refused to pay; not because they didn’t believe that Ms. Niforos was disabled. Rather, they refused to pay out the non earner benefit because they believed that the SABS/Insurance Act provided for a CPP Disability set off..
You see; 16 years BEFORE her accident, Ms. Niforos qualified for CPP Disability Benefits. She was disabled 16 years BEFORE her car accident. The Non-Earner Benefit is provided to somebody who can no longer carry on a normal life as a result of their injuries from the car accident. Allstate took the position that they were permitted to deduct the amount of Ms. Niforos’ CPP Disability Benefits from her non-earner benefits. If Allstate were correct, they would NOT have to pay Ms. Niforos any money at all. The effective result would be that an accident victim who is disabled long before a car accident does not have an avenues of compensation under the SABS. ..subsection 12(4) of the Schedule does NOT permit Allstate to deduct Ms. Niforos’ CPP benefits from her non-earner benefit. I find the phrase “as a result of the accident” modifies the words which follow it in paragraph 1, namely “under the laws of any jurisdiction or under any income continuation benefit plan”. The CPP benefits are payments for loss of income paid under an income continuation plan by virtue of subsection 2(9) and (10) of the Schedule. However, in order to be deductible under paragraph (1) of subsection 12(4), the CPP payments must be received as a result of the subject car accident. As Ms. Niforos began receiving CPP disability payments in or about 1994, well before the accident, I find that she was NOT receiving CPP disability benefits as a result of the accident. Thus, this subsection does not permit Allstate to deduct CPP benefits from Ms. Niforos’ non-earner benefit. The end result was that Ms. Niforos won her claim against Allstate, and was entitled to payment of her non-earner benefits to a tune of $185/week over 208 weeks = $38,840 (plus interest and costs). 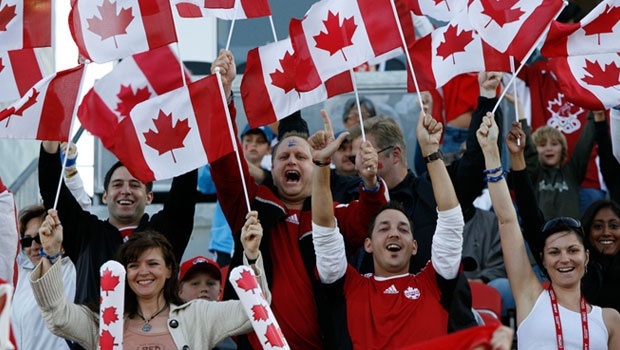 I would like to conclude this Toronto Injury Lawyer Blog Post by commenting quickly on the performance of Canada’s National Men’s Soccer Team in the CONCACAF Gold Cup. The Canadian Team has NOT scored a CONCACAF Gold Cup Tournament Goal in over 550 minutes of play. Their last goal in the tournament came in 2009. To pay 6+ games against “not so stellar” competition in tournament play; and not score a single goal is an embarrassment. Why bother playing the game, if your team has shown time after time that it cannot score a bloody goal? How depressed would you be, if you were a part of this team and realized that no matter what you did, you could not win the game because your team simply cannot score. Canada’s final game, was against an uninspired Costa Rican team which had not won a game in 2015. Canada was playing at home, in Toronto. It was a must win. They put forth an uninspired performance. When the bright lights are on this team, they have shown time and time again that they aren’t up to the task. The 8-1 defeat to Honduras comes to mind. While the game against Costa Rica was not as dreadful, it still showed this team is nowhere near ready for prime time.